TORONTO – In these parts, most of the criticism lobbied at the National Hockey League’s current playoff format revolves around the hockey centre of the universe (*wink*) and a Toronto Maple Leafs-Boston Bruins rematch that we’ve felt comfortable writing down in ink >three months before the puck drops on Game 1. The Bruins rank third overall, and the Leafs fifth. One of them won’t see Round 2, guaranteed. Meanwhile, the Central’s 10th-seeded Predators and 12th-seeded Blues are on track for a first-round collision. Brad Marchand can’t be blamed for pointing out "it’s not fair," as he did last month, just as Nazem Kadri could not be faulted for questioning the setup at this time last year, when this regular-season power shift from the Metropolitan to the Atlantic began. But consider, for a moment, how these division-based brackets could affect the Presidents’ Trophy-winning Tampa Bay Lightning, running through hockey with 60 wins and 124 points — 17 more than the runner-up Calgary Flames. This group has delivered the greatest regular-season performance of the cap era. Were the playoffs to start tonight, not only would the Bolts draw Columbus, the fourth-worst team invited to the dance (as opposed to the worst), but they’d have to fight through a top-five club in Boston or Toronto in Round 2. An even more extreme imbalance occurred last spring in Round 2, when the top-seeded Predators faced the two-seed Jets and the three-seed Lightning met the four-seed Bruins, arguably paving an easier path for Stanley Cup finalists Vegas and Washington, each emerging from their conferences’ weaker division. And when the Metropolitan was ruling regular-season hockey, voices in Washington, Pittsburgh and Columbus all had legitimate beef. "I don’t agree with it," Lightning veteran Ryan Callahan told Sportsnet Thursday morning. "I wish it was back to one through eight and then reseed after that first round. You don’t get much of a reward for finishing first in your division, finishing first in your conference. Sometimes there’s an upset [in Round 1], and that should be your privilege for finishing first — you get to play that [lower-seeded] team that just upset somebody." Callahan understands all the league’s arguments for keeping the current system in place — the easy-to-follow March Madness-esque bracket system; the fuel for geographical rivalries; the lessened travel — but he’s still calling for change. It’s been six years, and he hasn’t seen a Montreal-Toronto or New York–New York series either. Some beauty all-California clashes, no doubt. But not one Battle of Alberta or Battle of Ontario. "I don’t think it’s worked. It’s enough of a battle in the playoffs. Every series is tough. 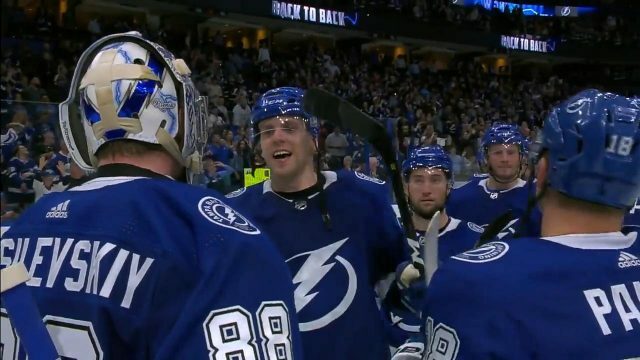 Just because you’re playing a division rival, that doesn’t mean it’s going to be a harder series," said Callahan, who’s played 119 post-season contests. "Personally, I wish it would go back the other way. "At the end of the day, I don’t think there’s enough reward for finishing top of your conference or second in your conference come that second round." The West-winning Calgary, too, could be forced to face a higher-seeded opponent in Round 2 than either of the survivors in the Central bracket. Toronto’s diplomatic John Tavares describes the seeding as "odd" and "unusual." Lightning defenceman Ryan McDonagh uses the word "tough" and points out that you can argue it both ways. Tampa captain Steven Stamkos, however, is bunking at Camp Callahan. "From a perspective of what you’re grinding 82 games for during a season is to finish as high as you can so you can have that advantage come playoffs. I don’t think that’s an advantage for Toronto or Boston," Stamkos said. "I don’t think that’s right. In saying that, you saw what Pitt and Wash had to deal with the last couple years. It is what it is. You can’t change it now, but I don’t think it’s the most fair in terms of why you play and the advantage you’re supposed to have come playoff time." A glance at the standings two days before they’re final makes it difficult to argue with Callahan. Canadiens fans will notice Montreal (the 14th seed) is not in this picture. Meanwhile, ninth-seeded Winnipeg is on pace to get a gift of an opponent in 16th-ranked Dallas. Call it karma. Call it blasphemy. Or call it an unsolvable issue. So far, the annual complaints will not result in change. 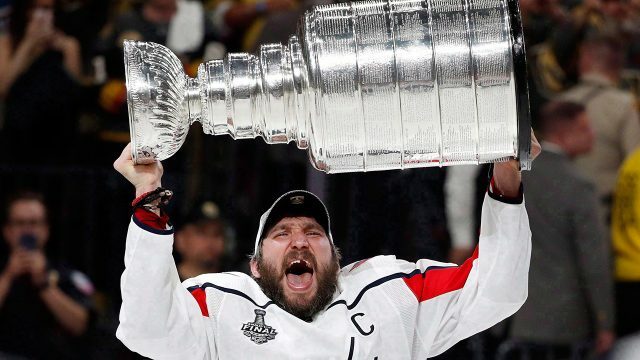 The Athletic’s Pierre LeBrun reported Wednesday that the NHL and its Players’ Association agreed to a one-year extension of the current playoff format, taking it through the 2020 Stanley Cup. Discussions on the topic will continue, but the earliest the next tweak could occur is 2021. "You can’t hang your hat on 60 wins when you get to the playoffs," said Lightning coach Jon Cooper, appreciative of the home ice at least. "Once you get to a one-on-one battle here, the schedule is the same, the travel is the same. Everyone’s on an even playing field. There’s not advantages or disadvantages. Then it becomes matchups. It becomes health." "I tip my hat to our players, but if we’re going to go anywhere, we’re going to have to take it up another level."